What are the best TV shows to watch while smoking weed? We have some dank viewing recommendations, along with the perfect strains to pair with each show. There are few activities better to do while high than relaxing and watching your favorite TV show. There are nearly endless possibilities to choose from, with thousands of channels and a handful of streaming services available. Whether you’re interested in comedy, drama, animated shows, documentaries, or something else entirely, there’s definitely a show out there for you. Below are some of the best TV shows to watch when you’re stoned and the ideal cannabis strains to pair with each viewing. The Office is a show that has it all — hilarious, laugh-out-loud comedy, touching, feel-good moments, and a cast that you’ll fall in love with. The show is a mockumentary that follows the lives of employees at the Dunder Mifflin Paper Company. While this may not seem like the most exciting premise, the outlandish characters and their wild antics will make you want to binge watch the whole thing. Everybody who has ever had an office job in their life has no doubt met someone like Michael Scott or Jim… or maybe even Dwight. This TV show is a fan favorite with a huge cult following, and it gets even better when you’re blazed. The Office is a guaranteed good time that will have you giggling and repeating quotes all day. 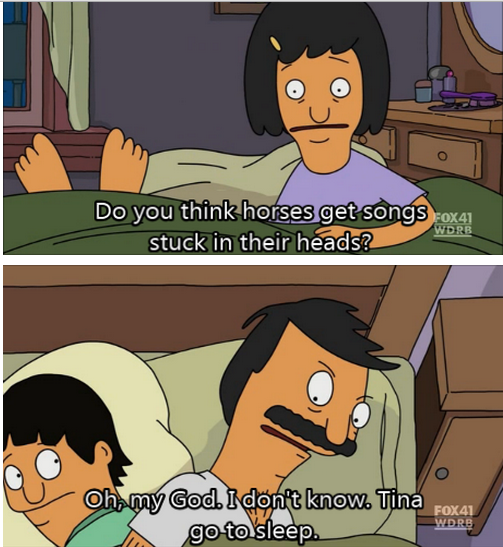 Bob’s Burgers is one of the best animated shows Fox has made in years. It stars the Belcher family, who own and work at a burger restaurant named Bob’s Burgers beneath their apartment. The show follows the daily lives of Bob and his wife Linda while they work at the restaurant and take care of their wild kids, Tina, Gene, and Louise. The whole family is hilarious and constantly getting into outrageous messes. Bob’s Burgers is the perfect show to watch during your session alone or with friends. It has a ton of great one-liners and silly moments. Binging this show will always turn into a lighthearted evening full of laughs with the right strains. A Series of Unfortunate Events will draw you in with it’s unique, captivating storytelling and beautiful cinematography. This unique show is adapted from the popular children’s book series of the same name written by author Lemony Snicket. The show seamlessly blends comedy, drama, and some mystery elements, while regularly breaking the fourth wall and making clever literary references. The three-season Netflix series follows the Baudelaire orphans as they bounce from guardian to guardian, trying to find answers to the mysterious fire that destroyed their home and killed their parents. Count Olaf, the villain played by Neil Patrick Harris, closely pursues them the entire time. It can be pretty grim at times, but it has just enough humor to pull you through those dark moments. But what did you really expect from a show with that title anyway. Adding a little bud into the mix will absolutely enhance your viewing and allow you to fully appreciate the detailed set pieces and wicked humor. Anthony Bourdain: Parts Unknown is the kind of docuseries that puts others to absolute shame. This show follows celebrity chef Anthony Bourdain around the world as he samples local culture and cuisine. He’s an adept interviewer, and his deep interest for both the local food and the local people can be incredibly moving. Bourdain uses the shared experience of dining to get to the heart of local culture and politics everywhere from Nashville, Tennessee to the war-torn Congo. That said, Parts Unknown can be a little heavy sometimes. The show doesn’t shy away from showing the gore of butchering animals or the strife many experience all over the world. Additionally, knowing about Bourdain’s tragic passing in 2018 can add to the feelings of melancholy. For these reasons, this series is best viewed with a potent strain that will relax your body and free your mind. Rest in peace, Tony! You’re definitely going to want some happy little trees to pair with Bob Ross’s wonderful art show. On the surface, it’s an instructional show about painting; but this series is fantastic even if you don’t paint or have any intention of learning. Viewers can watch Ross calmly paint masterpieces while offering life advice and truths about passion and happiness. This incredibly relaxing show is perfect to put on after smoking a potent indica. There’s 31 seasons of the show and each episode is about a half hour long. Many episodes are available on Netflix, and even more are posted for free on YouTube and PBS. If you ever feel like you need something chill to unwind to, there’s always The Joy of Painting with Bob Ross. Dank Recommends: King Louis XIII, Larry OG, Platinum OG, Super Skunk, Afghani, and 9 Pound Hammer. Martha and Snoop’s Potluck Dinner Party is a charming and unique variety show. 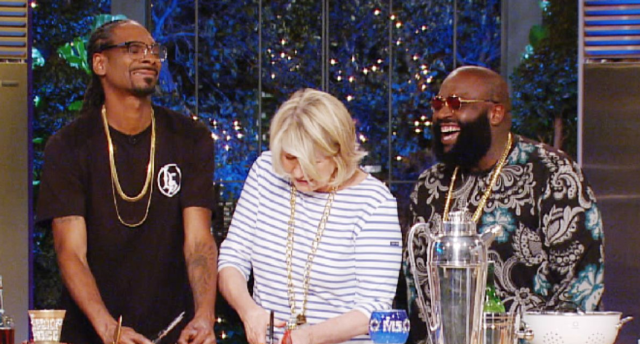 Hosted by Martha Stewart and Snoop Dogg, this series is some seriously dank entertainment. Every episode, a variety of celebrity guests join the duo to share an evening of cocktails, cooking, and great conversation. It’s exciting to smoke while you watch this show, since you’ll feel like a part of this fun celebrity weed party. Who doesn’t want to get blazed alongside Snoop Dogg? It’s a potluck, so make sure you bring some edibles and sweet strains! King of the Hill is a legendary animated comedy series that profiles the lives of the Hill family. The Hill family live in Arlen, a suburban Texas town populated by lovably Texan stereotypes. It’s one of the funniest shows to grace American television, with numerous seasons to binge and enjoy. After just a few hits from the bong, you’ll spend all night quoting the Hill family, ‘I tell you hwut’. 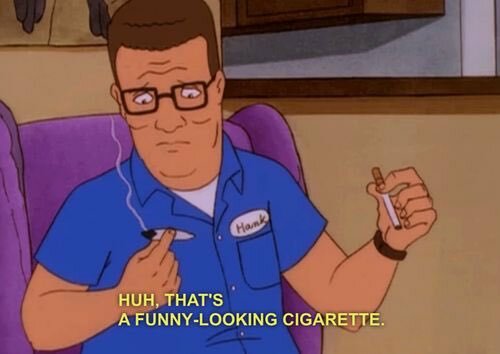 King of the Hill is a wonderful comedy and you should definitely add it to your queue for your next sesh with friends. For an extra dank time, make sure you check out the episode where straight-laced Hank smokes some weed. You’re going to want to be as stoned as he is. In Adventure Time, human Finn and his friend Jake the dog take the viewer along with them as they go on adventures across the Land of Ooo. The duo fight their way through dungeons, hunt for treasure, solve mysteries, find love, and, generally speaking, go on adventures. The world in this animated series is wild. You’ll get to visit the Candy and Ice Kingdoms as well as the Nightosphere, populated by demons and vampires. 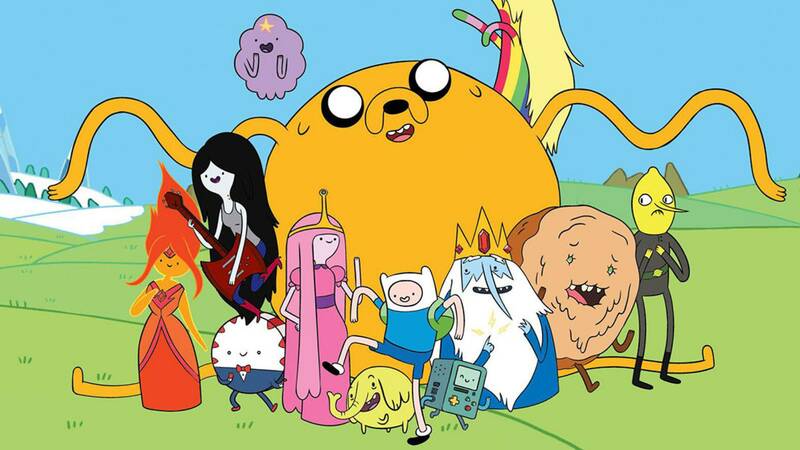 While it is a kids show, Adventure Time has a reputation for entertaining adults as well with its clever jokes and abstract themes. This cartoon is absolutely hilarious, while also managing to be sweet and sentimental. You’ll definitely want to watch Adventure Time after smoking some trippy strains that will open your mind to the wildness of the Land of Ooo. Watching television is already a pleasurable experience, and nothing makes it better than adding some dank flower or turning it into a nice group session. No matter what genre you’re in the mood for, marijuana can help enhance the experience. It’s time to tune in, chill out, and get lifted. 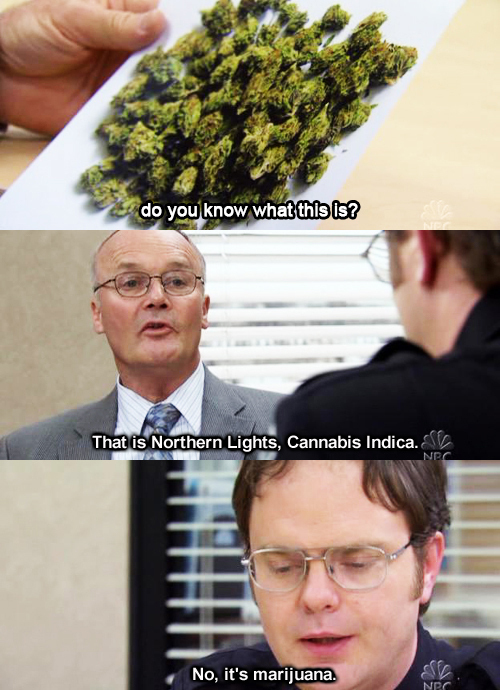 Have any favorite strain and show combinations? We’d love to hear in the comments below!